Unlike other sports, Golf is a game which needs different equipment for different situations. When it comes to playing a shot under 100 yards or so, wedges play an important role. Many people ignore this fact and then never get to the top. You sure don’t want to be that one, right? It’s important to pick out the best golf wedge that most importantly suits your game and your style. The shot swing and bounce depends on so many factors. It also depends on how well you know this game and how much experience you have. Because with some wedges, it requires a lot practice and versatility. Also, it’s very hard to choose the right one from so many options available out there. All the big brands claims to manufacture the best golf wedges, this only adds to the confusion of selecting the best one in the market. We will be starting our list with a reputed and well-known brand in the Golf industry, Cleveland. Cleveland Golf is known for manufacturing some of the best golf accessories. This time again, they have come up with a great product. The amazing steel build of 588 RTX helps you achieve the 52-degree angles very easily, which is very important for a good shot. The raw materials that have been used to build the wedge are of top quality with a very sturdy and premium feel. The wider sole measurement around the heel and a narrow sole width near the toe helps to increase its trajectory and consistency as well. Build with the 4th generation Tour Zip Grooves, it provides a sharper border and 8% larger walls than other wedges. This one is larger in size and with the help of its Surface Roughness Technology, it can achieve more power and spin in a shot. You can use and test this wedge at different surfaces and we are pretty sure that you will achieve consistent results every time. 1. RTX 588 is one of the most durable and sturdy golf wedges you can get. 2. 16% larger grooves maximize the spin power and lets you achieve a good balance in a shot. 3. The wider sole helps to improve the bunker performance and usability without compromising on performance. 4. Tour Zip Grooves lets you achieve a much better control and flow over the wedge. 1. Not suitable for amateurs as it takes some time to adjust to its working. 2. You have to put more force in your shots because of its heavy build and weight. 3. The black finish tends to fade out after some months of usage. Next one in our list is the MP-T4 model by Mizuno. It is a very good quality wedge which is made of 100% steel, for a hefty and sturdy feel. The wedge is constructed with a whole new design that never fails to achieve the highest spins and eventually make you hit some quality shots. One more thing that goes in its favor is its weight which is very light as compared to other wedges made with same material. The grooves provided with the wedge helps to adjust power and control according to the surface. The T4 has low bounce soles, grinded heel and the trailing edge that makes it far superior than its previous models. 1. The MP-T4 is designed with strategically engineered Sole which provides better toe and heel relief. 2. It is fully made with carbon steel, which in turn makes the weight very light. 3. DG Spinner shaft helps to achieve the highest spin power. 4. The overall build quality is very good and made out of top quality material. 1. Trajectory is a little bit compromised. 2. Its teardrop design may not be appealing to some people. 3. Professional golfers can feel a lack of bounce in this wedge. Callaway has been manufacturing golf equipments since 1988, so you would expect them to deliver the quality here. 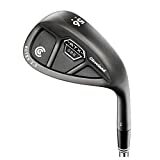 And yes, the Callaway Forged wedge is one of the popular wedges available in the market currently and is made out of the top class 1025 c steel quality. The crescent sole and mid bounce help the golfer to take a long-range shot with an ease. Satin chrome design gives it an eye-catching look and looks very premium. In terms of looks, this one has to be on the top of our list. It also infused with the “Blended C-Grind” material which helps to achieve better surface traction. 1. 1025c steel gives you a very premium and high-quality feel in hand. The steel is also very durable and easily usable in every condition. 2. Less offset and square toe help to achieve much better performance and experience. 3. The 16 groove-built technology successfully promotes better hitting, spin and stopping power on the turf. 1. Users will take time to adjust with the mechanism of the wedge. So, not for starters. 2. The wedge is slightly on a heavier side. Pinemeadow might not be familiar to everyone but let me tell you, they offer the best bang for bucks. Made especially for amateurs, the Pre-3 Wedge Pack are for those who are new to golf and wants to improve their golf skills. Pinemeadow has done an amazing job with the colour job combination of these wedge, as it looks really stunning. The pack consists the three wedges of 52, 56 and 60 degrees. Thus, all of them offering different variations and angles. Each of the wedge weighs around 300G. All wedges are made out of fine steel which gives them durability and classy look. Pinewood is blessed with amazing U-groove technology that provides better spin to your wedges. 1. Made out of rustproof stainless steel. 2. Helps to achieve good spin and gives you overall control on golf club. 3. 3 different angle wedges. 4. All the wedges are very attractive and have premium finish. 1. May start to wear and tear after a few months of usage. 2. Quality of the grip is a little bit compromised. The last one in our list is from the biggest sports company in the world, Nike. This specific model from Nike is particularly designed for professionals and for those who expect sharp driven wedges. From the very first look, it has a bit of a traditional feel to it. The weight shifting is very good and once you get used to it, no-one can stop you. It offers maximum forgiveness and has a wide range of usability. It is available three models which are 52, 56 and 60 degrees. The distance control of this wedge is the best among its class and the toe swell has a pretty wide sole that helps the ball to face rough surfaces. So, as we have mentioned earlier, it has been deigned for a pro and if you think you are one, go ahead and pick it without any thoughts. That being said, golf is all about making adjustments. Don’t worry if you are just starting out, you can make it work with sheer practice and consistency. This wedge is a real gem if you get used to it. 1. High-Frequency X3X Grooves comes with amazing control and touch. 2. The dual wide grip helps you get amazing swings while taking high angle shots. 3. Toe Sweep Grind helps to get much better stability and balance through the hitting area. 4. While the build was not good, but it will last you years without any trouble. 1. Very difficult for amateurs to get used to this wedge because of its versatility. 2. Shots can result in unwanted outcomes if not controlled in a good manner. 3. The toe sweep area might be a difficult for many people to handle.